­The money will help improve liquidity in the market. Stock markets have reacted positively. Analysts also expect that over €100 billion of the new LTRO are likely to be used to refinance current debt, while a significant sum will be deposited at the ECB. The ECB auctions raises some concerns though. Regular liquidity injections can make the European banks addicted to “free money” from Frankfurt and lower risk management within the financial institutions. In December last year, the ECB provided 523 banks with the loans of €489 billion for more than 3 years at a rate of 1%. 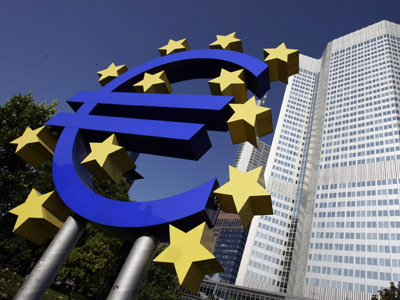 As a result, the situation on the interbank lending market improved and the Euribor rate dropped to under 1%. The other effect was the increase of investments in sovereign debt securities, which caused a slight decrease in levels of bond yields of the eurozone countries. In January, Spanish banks increased their investments in government debt to €23bln, and Italian banks by €21bln. As a result, some unreliable banks have become significant debt holders of the indebted countries. Any distress with the latter could cause a domino effect of the debt crisis with the ECB eventually taking all the credit risks. Experts say that the provision of such liquidity does not put the ECB at risk as its total non-inflationary loss absorption capacity is over €3trn. They can carry on printing till almost the cow comes home, ECB’s pockets are only so deep, and it’s likely that if they have to carry on doing that then it’s likely that they have to tap into a bigger pull of funding from the IMF for instance,”says Manoj Ladwa from ETX Capital. Yet, the measure is believed to improve the banking system to a certain extent. “It is designed to pump more liquidity into European banks. The money being pumped into the banking system is designed to be pushed back out again to encourage growth and help pull Eurozone out of the current slump, but whether that is likely to happen, or whether borrowers have the actual appetite there to borrow that much money, it remains to be seen” said Ladwa.